One of the mandates of Mine Health and Safety Council (MHSC) is to conduct high impact research on occupational health and safety matters affecting the South African Mining Industry(SAMI) and to advice the Minister of Mineral Resources on the outcomes of the research. The research outcomes are then disseminated at various platforms; including but not limited to Regional Tripartite Forums (RTFs) meetings, MHSC conferences, workshops, summits, mine events, the MHSC website (www.mhsc.org.za), and upon request from stakeholders. 3. To ascertain if the disseminated research outcomes are making an impact in the SAMI (Keeping in mind that positive health and safety trends or impacts are as a result of multidisciplinary collaborative efforts from all stakeholders, including the workers themselves). * 7. 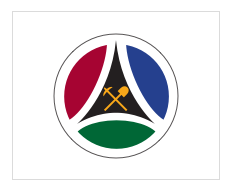 Do you know about the Mine Health and Safety Council? Please specify what you know. * 8. Are you familiar with the Mine Health and Safety Council’s mandate? * 9. Are you aware of any Mine Health and Safety Council research projects and if yes, are the research outcomes making any difference in the SAMI? * 10. Do you know that the outcomes of these research are freely available to the public/ stakeholders? * 11. Do you know the different means to obtain some of the MHSC’s research outcomes( i.e Through TTK (Technology Transfer and Knowledge) Facilitators and other staff, the MHSC website (www.mhsc.org.za) and the library? * 12. Are you using the MHSC website (www.mhsc.org.za) to obtain knowledge on Mine Occupational Health and Safety? * 13. If yes, how likely are you to recommend the website to others? * 14. How would you rate the MHSC’s visibility and participation in the Mining Industry’s Health and Safety events? * 15. If low, what recommendation can you make for MHSC to become more visible and accessible to mines? * 16. Have you seen some of the MHSC learning material e.g: booklets, pamphlets, etc? * 17. Did you know that most of MHSC information distributed have been developed from projects conducted by the MHSC? * 18. Have you found value in the booklets, pamphlets? * 19. If the booklets were targeting a different person/department, have you shared the booklets/ pamphlets/guidelines with them? * 20. If yes, do your colleagues use the information? * 22. Have you applied some of the information to your daily work? * 24. Will you refer back to these booklets to assist you with your daily work? * 26. How do you think information can be shared with people that do not have access to the internet or email facilities? Should it be via the training centre or management or safety days or via health and safety representatives?